Whether planning a birthday party, searching for wedding day champagne flutes, or surprising the family with a special meal, it's essential to ensure that you have enough glassware for all your guests. Here at Bybrook Furniture and Event Hire, we understand the importance of this and are able to cater to all tastes and requirements with our extensive glassware hire service. Choosing the correct glass for the correct drink is an essential part of a successful event and we are here to help you, every step of the way. Whether your tastes are traditional and basic, or slightly more flamboyant and fun, we aim to provide everything that you need for a stress free celebration, leaving you to relax and enjoy yourself without worry. 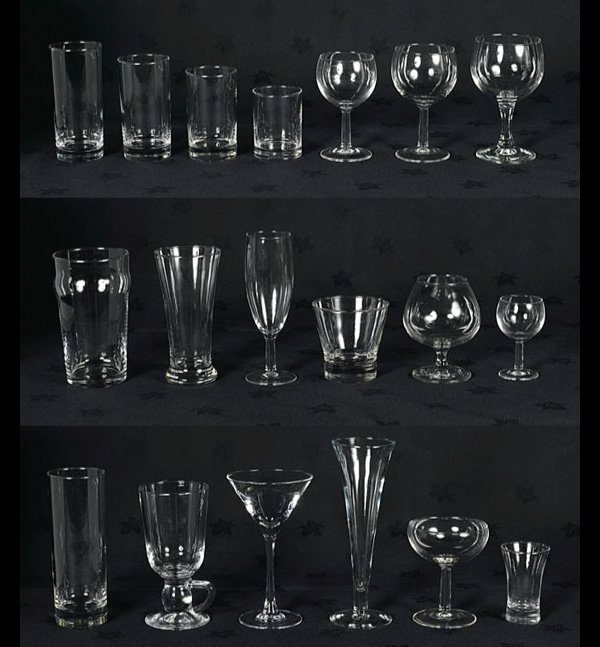 As well as offering a selection of wine glasses, champagne flutes, tumblers, pint glasses and goblets, we are also able to offer glassware hire than includes a selection of attractive cocktail and shot glasses. To complement your meal, we feature the essential water jug and and our Irish coffee glasses complete your special occasion, along with stylish knickerbocker glory and sundae dishes. All our products are of the highest quality and are designed to fully meet our customers needs. 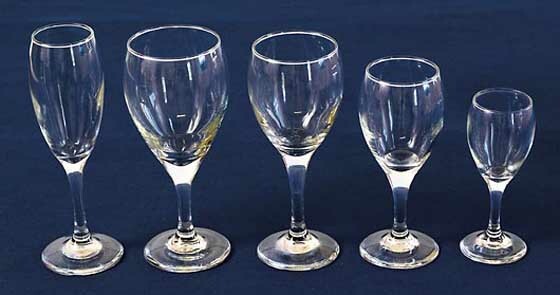 Wine glasses and other items are all supplied sparkling clean, in immaculate condition. If you would like help or advice on your selection, please contact one of our advisors, or take a look at our selection and price list below.